My first stop in Spain was to the most obvious place to go if you are leaving the Douro from the east, the Toro in Castilla y Leon. Toro is home to the bull, the iconic black coated cattle beast that is Spain’s national animal. Tinta de Toro, a variant of the Tempranillo grape, is the dominant grape planted in the Toro. And like the bull, Tinta de Toro’s character is dark, brooding, and intense with a firm structure. 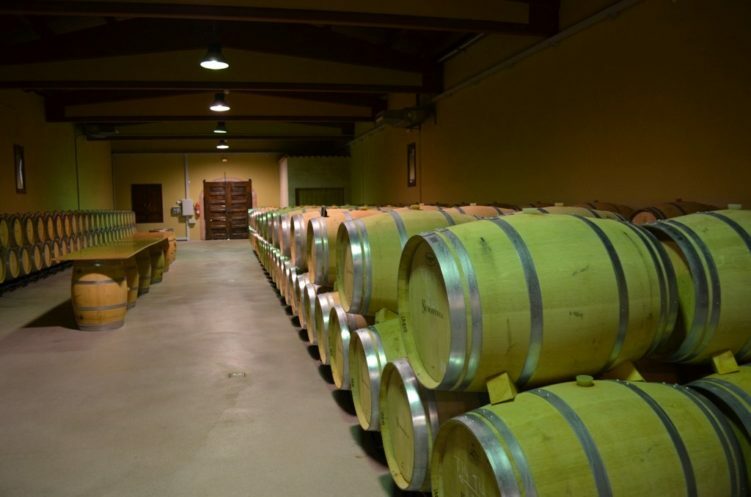 Formerly a Roman outpost, grape growing has been rooted deep in the history of this red soil and limestone-laden land going back to Rome’s first foray in 210 BC (1). Vines and cereals are about the only thing that can grow in this harsh climate that is dry and intensely hot during the growing season. High in elevation and landlocked, the climate is continental, with hot, dry summers and cold winters. 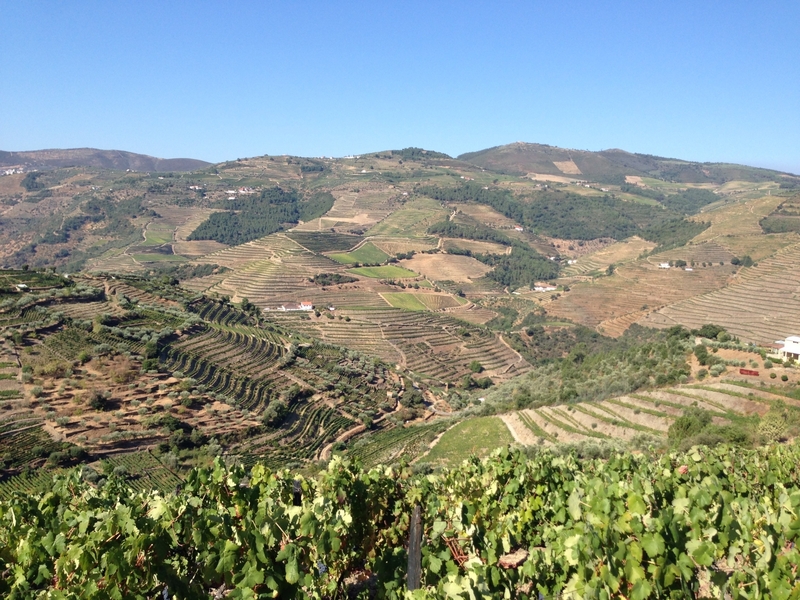 Elevation of the vineyards stands at 2,000-2,500 feet above sea level (2). 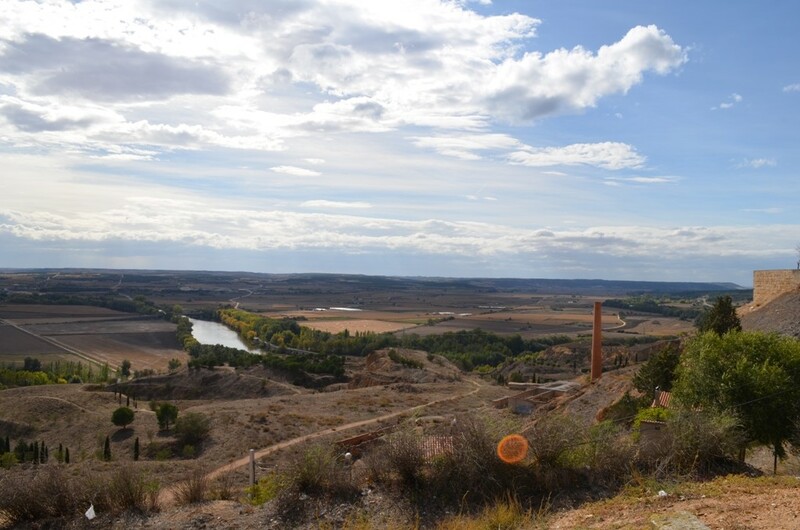 That high altitude, proximity to the Duero River, the occasional (and brief) rain and strong breezes are crucial to moderating the high heat and long exposures to sunlight in the growing season. Annual rainfall is a minuscule average of 350-400mm (3). Tinta de Toro bush vines are planted this way as an adaptation to the climate. 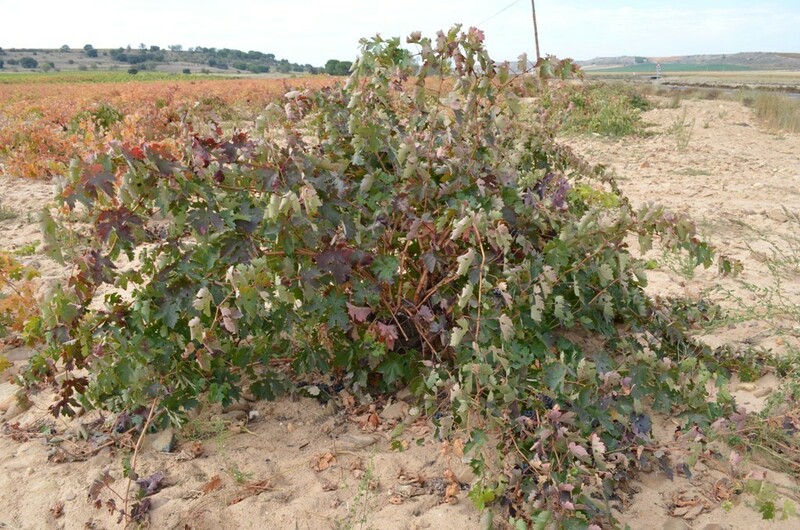 The Tinta de Toro grape has adapted thicker skins and an uncanny ability to thrive in these harsh growing conditions. 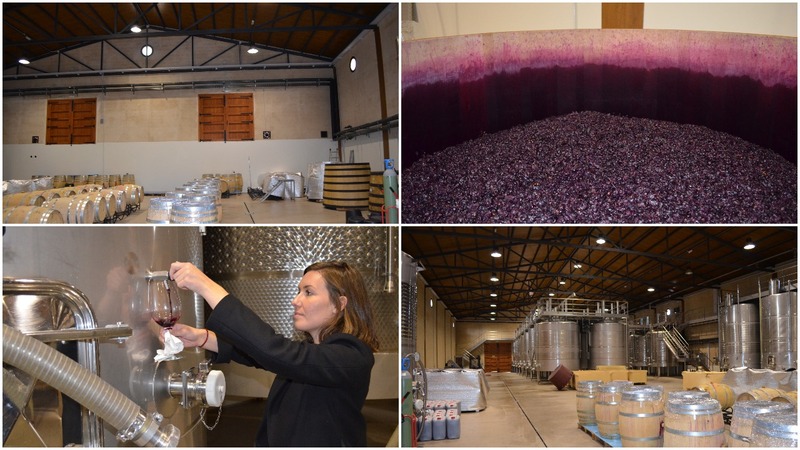 Even with those special abilities, Tinta de Toro requires special care to be taken by the winemaker to tame the fierce character of the wine that can result if growing conditions and yields are not monitored and tannin management are not practiced. Vines must be planted further apart because of the lack of rainfall. The vine planting style is goblet head trained so that a protective canopy of shoots and leaves shield the grapes from getting sunburn, as well as adding an element of humidity. 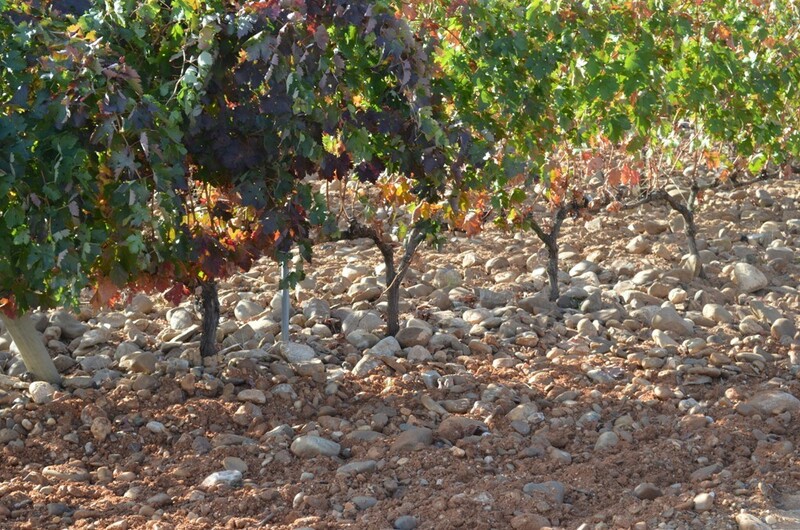 San Roman vines lie in vineyards like this covered in these polished round stones that help regulate heat and moisture. 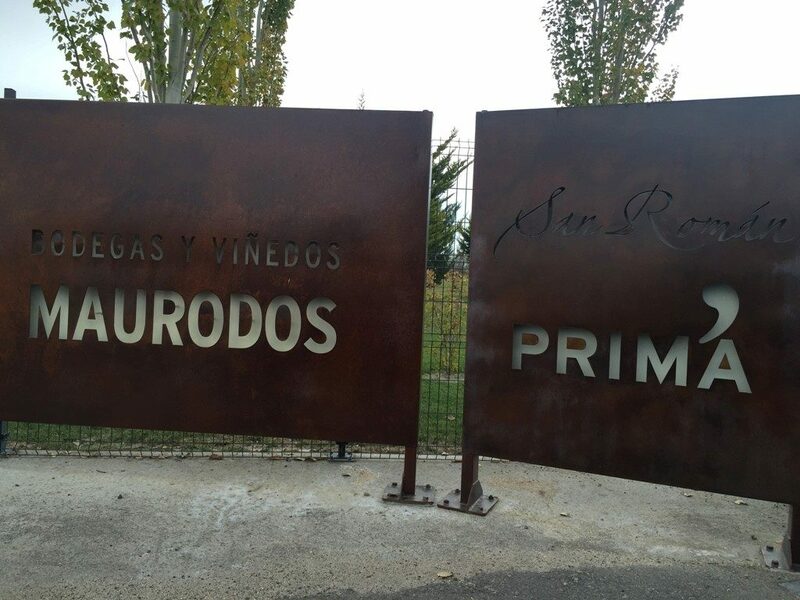 My first of two appointments that day was at Mauro Dos, famous for their textbook San Roman Toro north of the village. 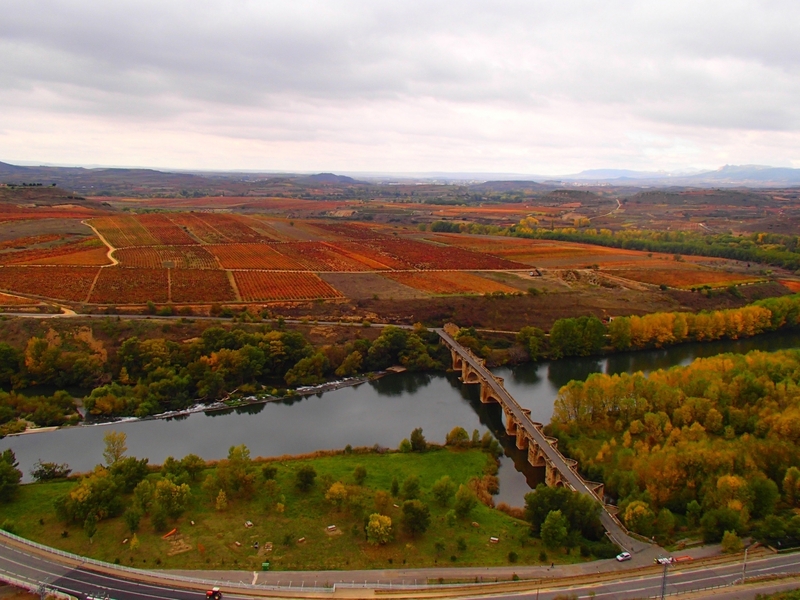 In the afternoon we headed south of the Toro village to the river plains of the Duero River at the LVMH owned Numanthia. Both producers are leaders in the region and have some of the best vineyard sites with ancient head trained bush vines. If you want to get an idea of what Tinta de Toro Tempranillo is like, 2012 is the current vintage, with 2010 touted as the best vintages in recent years. 2008 was cooler, offering a different look at the wines from a cooler year and are now 8 years old so they should be showing some signs of maturity. 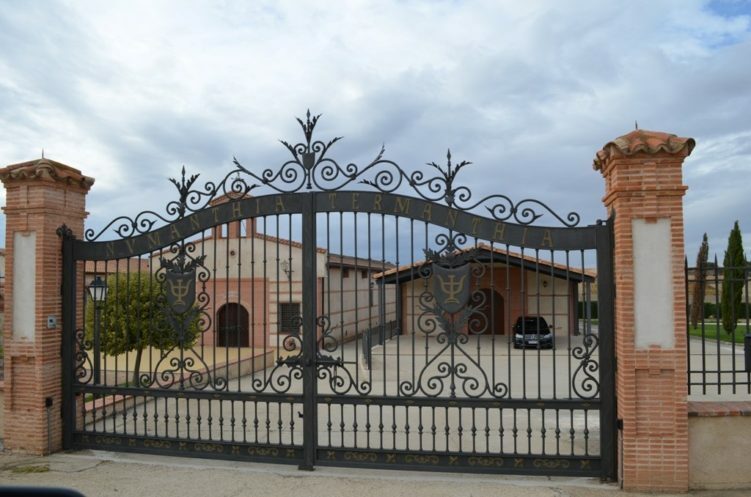 Some producers to look for are of course Maurodos and Numanthia, but also Pintia (Vega Sicilia), Elias Mora, Teso la Monja (Eguren) and Campo Eliseo (Bodega Burdigala). 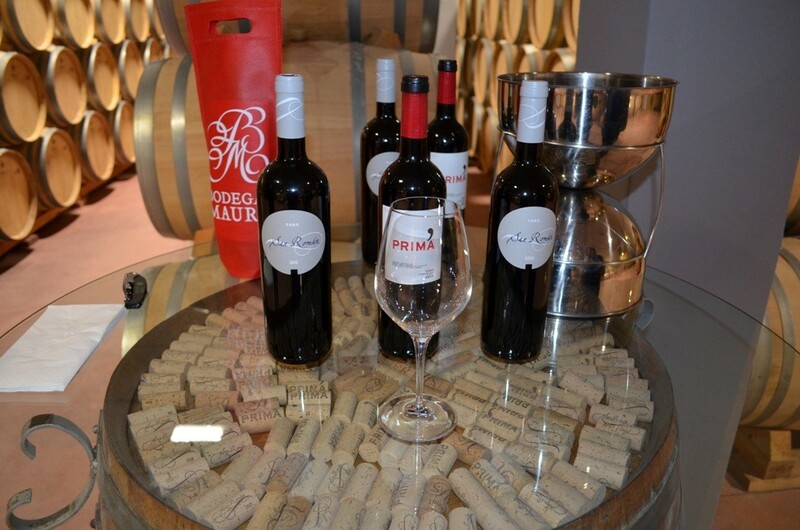 Mauro Dos is home to the winemaking family headed by Eduardo Garcia. Mr. Garcia was the winemaker at Vega Sicilia for a few decades, overseeing the greatest era of the Vega Sicilia wines of the 1960s through the late 1990s. His son makes the wines now, carrying on a tradition of velvety smooth Toro wines seductively balanced with power and finesse. 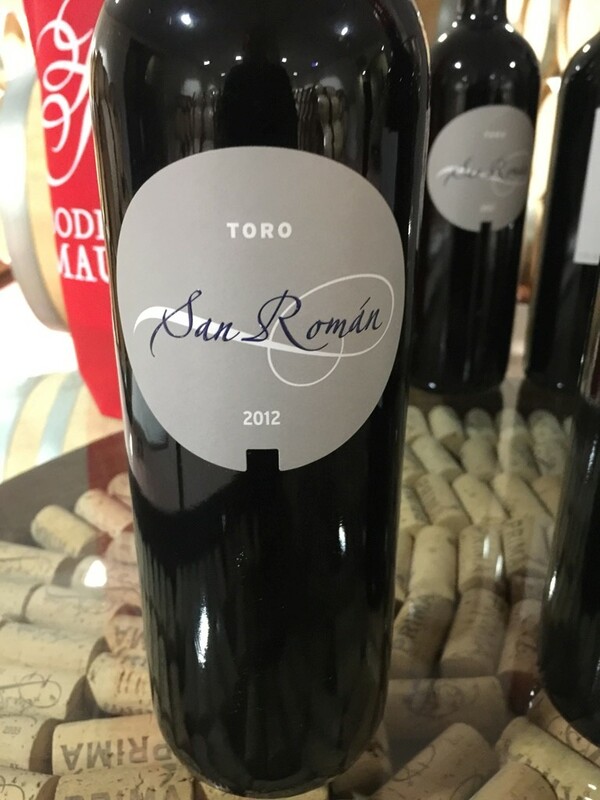 The San Roman Toro is a benchmark wine for the region. It is not the most expensive wine in the region either, not by a long shot so it is worth seeking out every vintage. The San Roman wine comes from old vines planted near the village in a layer of gravelly red clay loam on limestone bedrock. The surface of the vineyards is carpeted in medium to large round stones that retain heat and help regulate soil moisture. 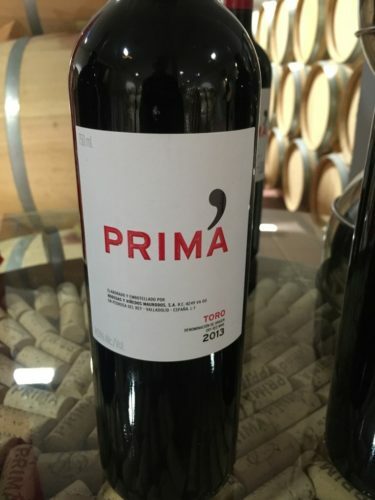 The second wine “Prima” is made from different soil plots that are sandy topsoils. It is an exceptional value that drinks well young, highlighting the fruit and finesse Maurodos is known for with polished, ripe tannin. French oak Taransaud fermentation tanks, steel versions and the barrel aging room. 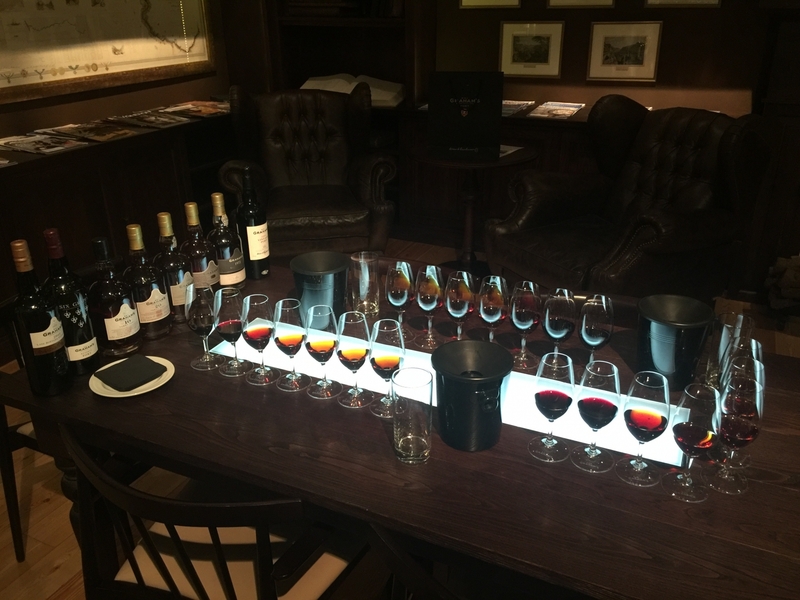 We tasted quite a few barrel samples of 2013 and 2014 San Roman and Prima first. 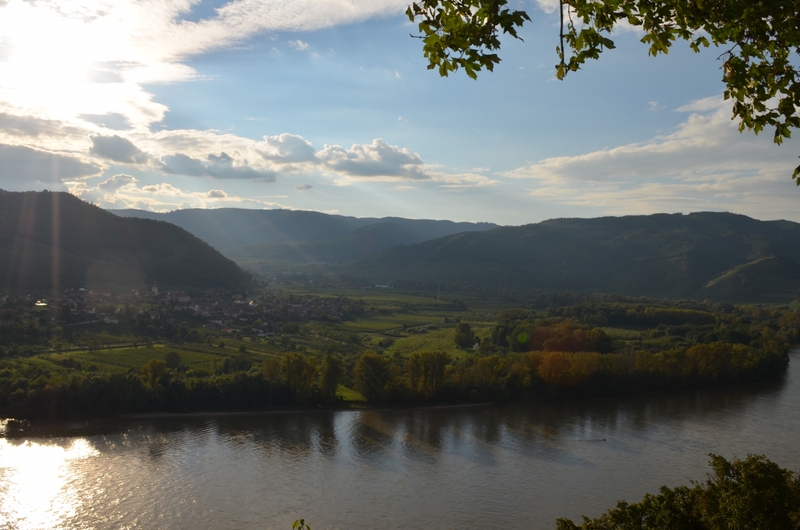 Each site is vinified and aged separately by vineyard site. 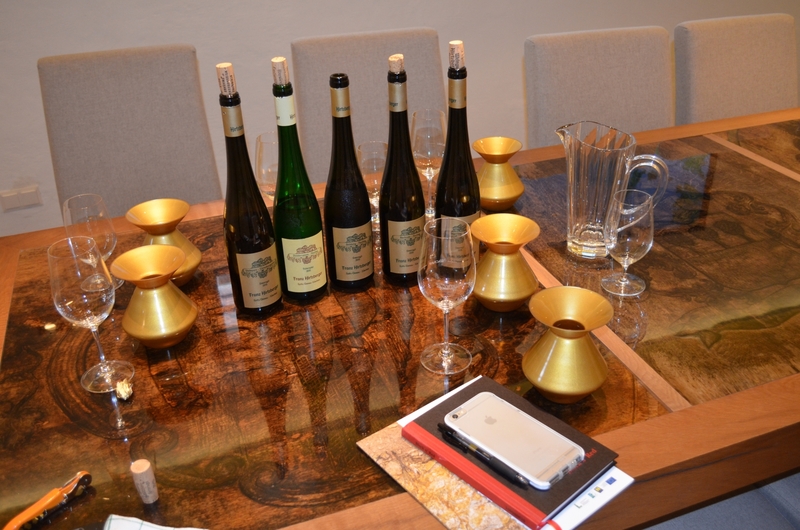 The barrel samples heightened the difference the terroir makes in the wines from each site. The sandy Prima soils imparted a softer, fruitier character that is more accessible in its youth and thus a great entry level Toro. The San Roman was the complete package, grown in much poorer, well-draining soil that stresses the vines. The average age of the vines for San Roman is 40 years old, while the Prima are sourced from vines much younger than that. 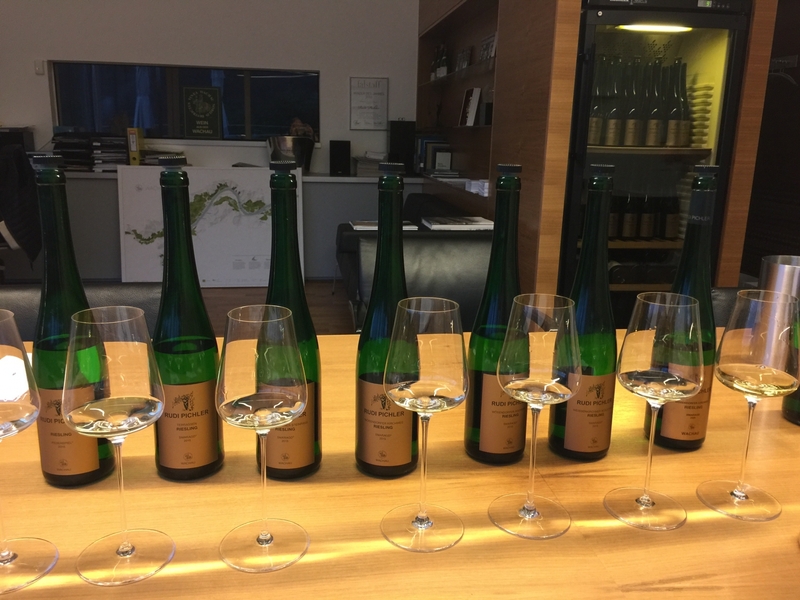 Barrel samples helped us to get familiar with the differences in terroir from the different vineyards as they are vinified separately. The freshness in both wines comes from the acidity that remains from the high diurnal temperature changes from day to night because of the altitude. The picking window is extremely tight and thus maybe the most consistently important part of the growing cycle in the Toro. Pick too early and you may have unripe tannin, pick too late and the acidity may burn off. 2005 San Roman, 2013 Prima, and 2012 San Roman from bottle. From bottle, we tried the 2005 and 2012 San Roman, as well as the Prima 2012. The finished wines were fantastic, the 2005 showed how the wine aged into maturity gracefully. With the 2012s we could compare for ourselves the final product and the contrasting styles that were a result of different terroir in Prima versus the San Roman. The 2005 was not fully mature, it straddled youthful fruit and virility in its structure that offset the mature tertiary character and the even finer tannin. The 2012 was the polar opposite but showed why this wine is so successful and deemed such a benchmark wine for the Toro region. 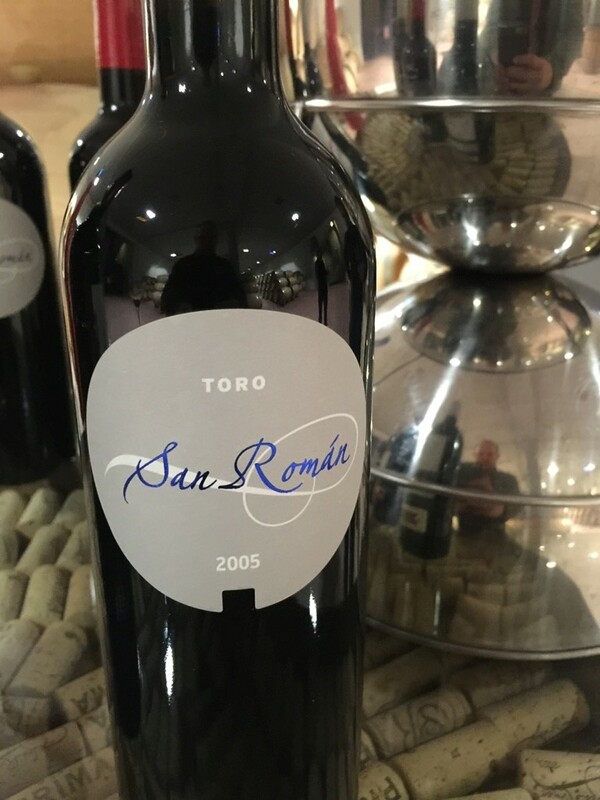 Power, structure, and the persistence of youth are married to a finesse and precision that allow this wine to be balanced in its youth, whereas some Toro can tend to be too tannic or overly focused on ripeness of fruit in their youth. After lunch in the village center of Toro, we headed south to Numanthia. On our way we took in the view from the cliffs above the river valley below where the Duero winds its way south and west to Portugal and then to Porto and the Atlantic Ocean where our journey began. At Numanthia we were greeted not by a Spaniard, but by a French representative of LVMH. After some friendly small talk, we got down to business heading out to see a vineyard. I was excited to see these vines as the Numanthia vineyards are un-grafted since much of the topsoil has a high proportion of sand, which is inhospitable soil for the phylloxera nematode. While not the most ancient of the vines owned by Numanthia, the oldest vines in the rocky soil of the Fuente Malena vineyard was 90 years old. 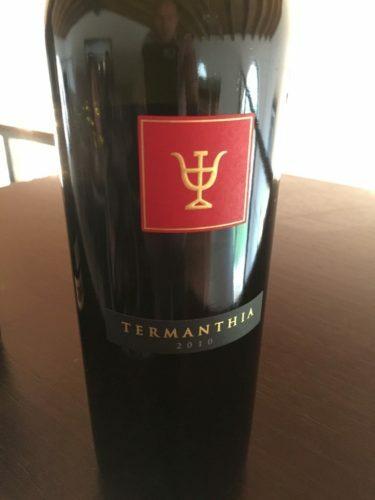 The most senior of their vines are a little older than 120 years old and are the source of their flagship wine, Termanthia, from the Teso de los Carriles vineyard. Our guide, Magali from Toro’s Numanthia, talking about and showing us the old bush vines. The wind that blew across this flat, elevated plain was in full swing, and is one of the big terroir factors that allows for viticulture in such drastically hot and dry conditions. 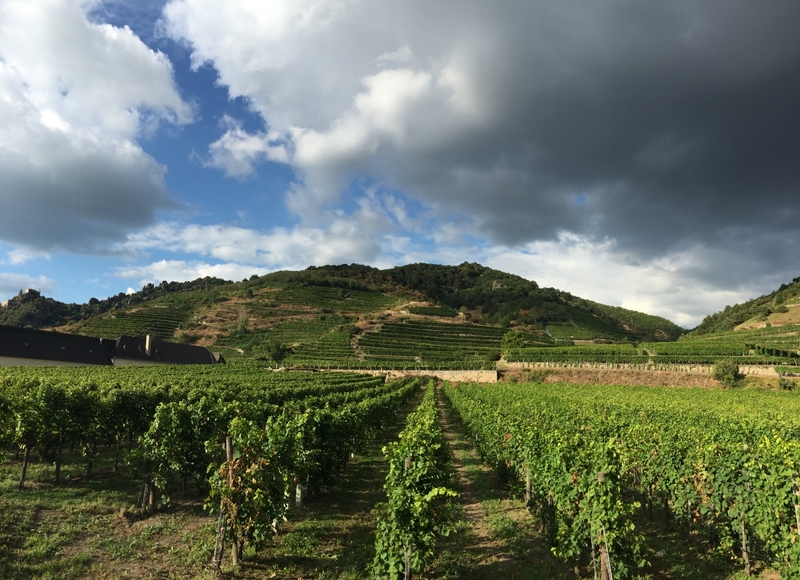 I was told harvest yield figures average between 1.2k-2k kilos per hectare, dependent on vine age and site. Production is dictated naturally in many cases since older vines produce less fruit of higher quality, or so the theory goes. At Numanthia, I was told that a typical plant will have 5 arms that will each have 1-2 buds per arm which equates to 5 shoots, with 2-4 bunches per shoot. This, in turn, will create about 1 to 1.5 bottles per plant. A little history about Termanthia is important as I feel many do not know the chilling story of Termanthia. When the Roman Empire reached the region that Termanthia was located (not Toro, but further east), the then indigenous Celtic-Iberian people were not pleased with them and frequent clashes erupted. The Romans tried to break the people’s will with a siege blocking food and other supplies from getting into the city. Instead of all-out war, which the locals asked for, the siege ran its course until the siege laden locals set themselves on fire around 134 BC. Rather than subject themselves to being subjects and slaves to the Romans, they chose death. 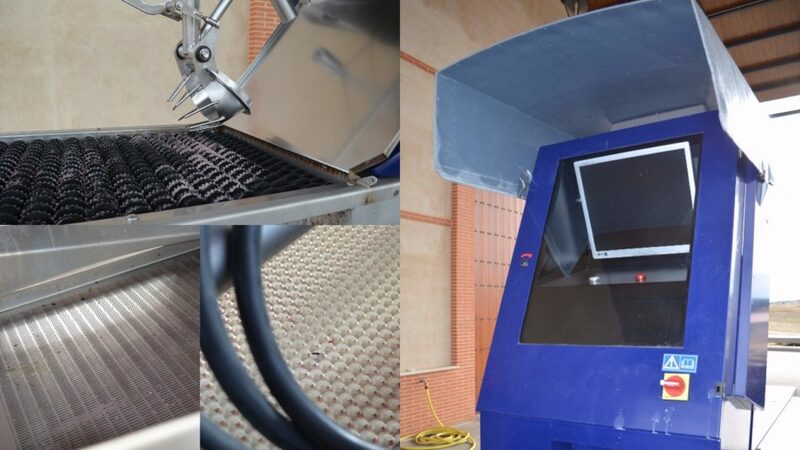 Grapes are sorted with this optical sorter which is run by a computer that can detect poor grapes based on settings created by the winemakers. Grapes that do not meet the standard are removed with a small blast of air. Back at the Bodega we did a walk-through of the winemaking process from grape reception to barrel. 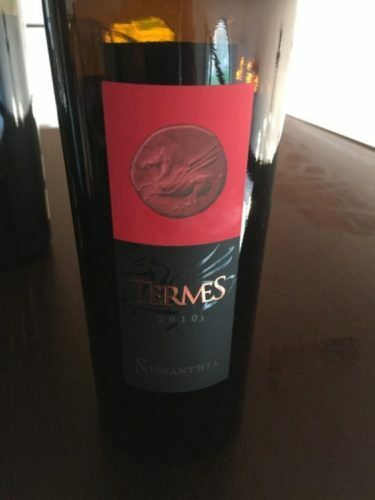 After grape reception, the process is different for the flagship wine Termanthia from the Numanthia and the Termes wines. Numanthia grapes come from a single mega-old plot of 120-year-old gnarly Tinta de Toro vines (Carriles). Destemmed by hand, the grapes are put into its own smaller oak foudre- like tank to ferment with manual punch downs by foot. 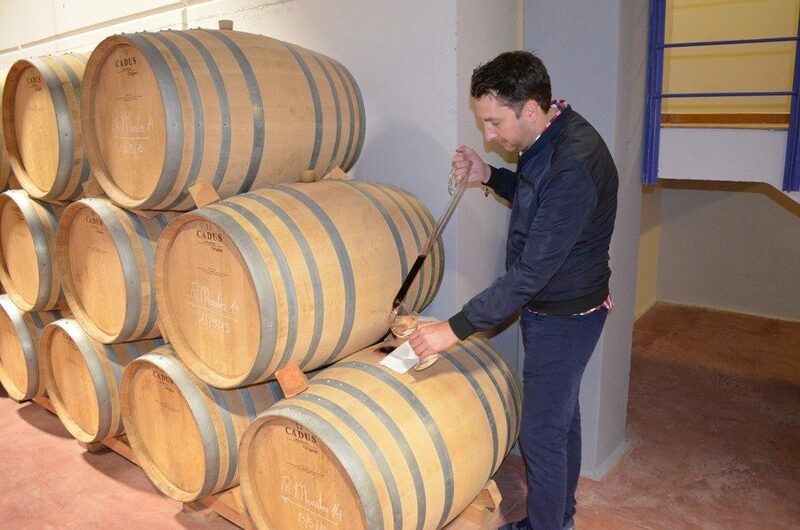 Termanthia wine then receives a 200% new oak treatment: Malolactic fermentation occurs over several months in a 100% new French oak barrique, then the wine is moved again for aging into a new 100% new French oak barrique for a total of about 21-24 months. While all grapes are hand-harvested, the berries for Numanthia are the only ones to be destemmed by hand. A strict selection standard is applied on the sorting table using an optical sorter for Numanthia and Termes. Termes and Numanthia berries and juice head to large steel fermentation tanks for a macerated cold soak before the wines undergo alcoholic fermentation. 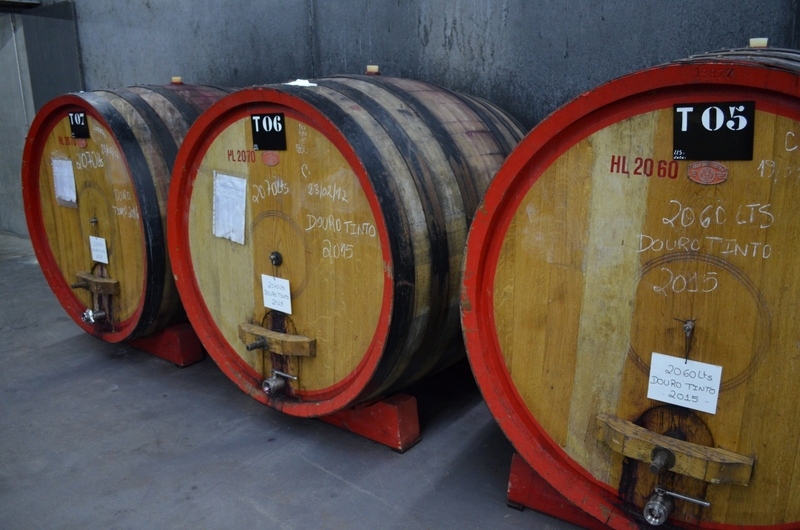 After fermentation, Numanthia is aged 21 months as well, but only in one set of 100% new French oak barrels. Termes is aged in 30% new French oak anywhere from 12-15 months depending on the vintage. Top left we see the doors mid-way up the building where the grapes come in. 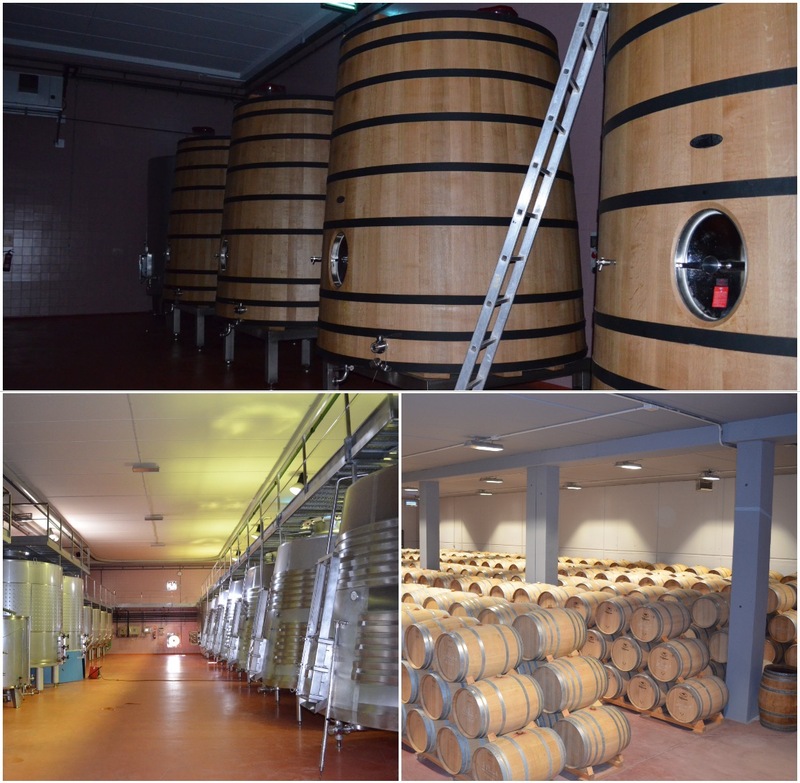 The tanks in the right of the same photo are the 2 special oak fermentation tanks for Termanthia. 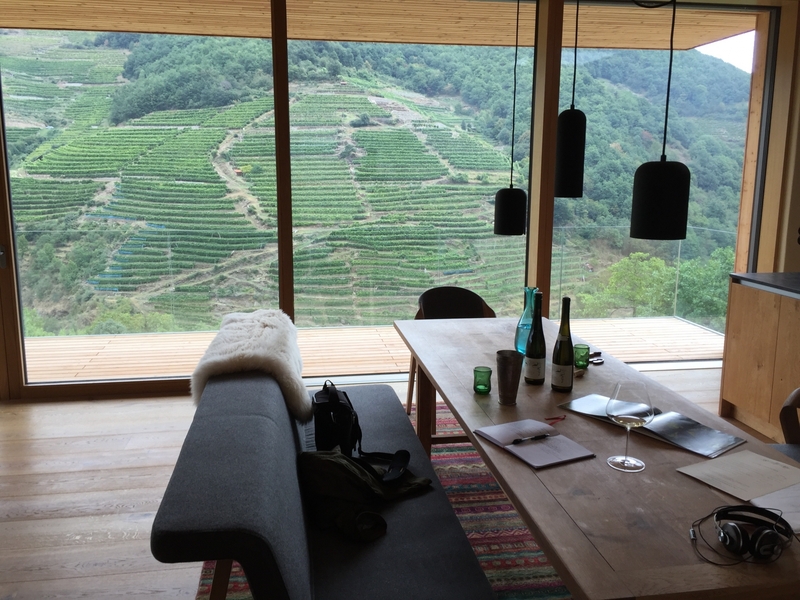 Must rests on the juice of 2015 Termanthia grapes in the upper right. Magali poured us 2 tank samples from different days of fermentation, one was a day into fermentation and tasted like pure grape juice, the other a week older was quite vinous. I was told that in more recent vintages the grapes are picked a sooner than in the past. This I believe to be a good thing. I also heard that the 200% oak is no longer part of the process for Numanthia as it received only 80% new French oak in 2014. The Numanthia is also supposedly getting a lower dose of new French oak for 2014. 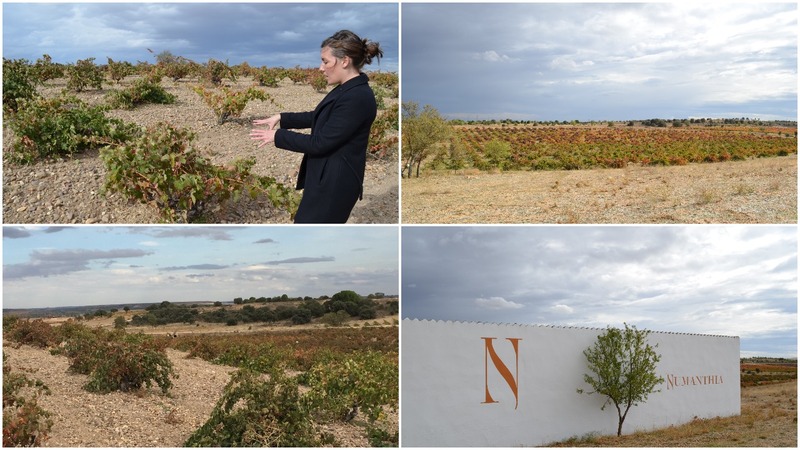 The new LVMH team are applying terroir principles to make the best and most balanced wine as possible that is more reflective of the strong personality of the region and its dramatic climate and soils. Barrels resting peacefully in the cellars at Numanthia. The cellars for aging the wines are adjacent to the fermentation facility where year one is done on the first level and the second level below ground is where the wines finish their remaining time aging. 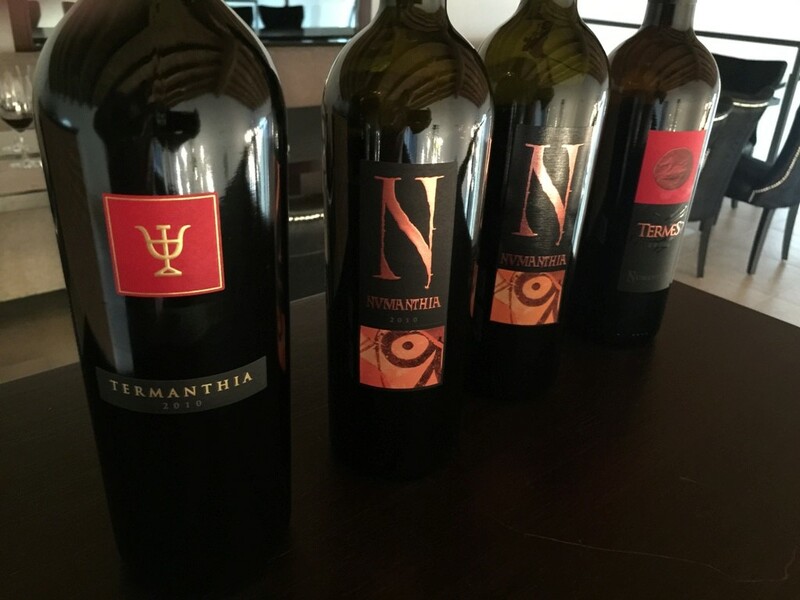 The lineup of 2010 Termanthia, 2010 Numanthia, 2008 Numanthia and 2012 Termes. 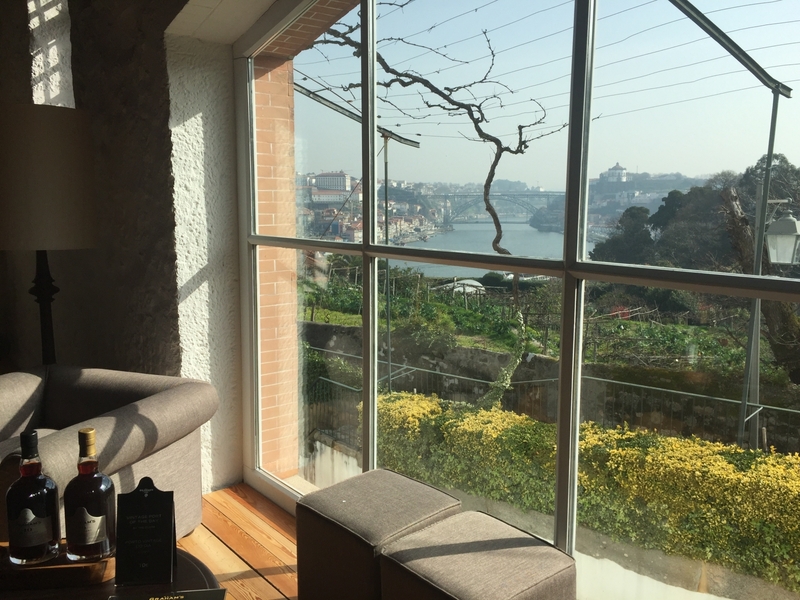 Our tasting was back in the reception building where there is a comfortable waiting lounge, wine sales, and lofted tables for wine tasting. 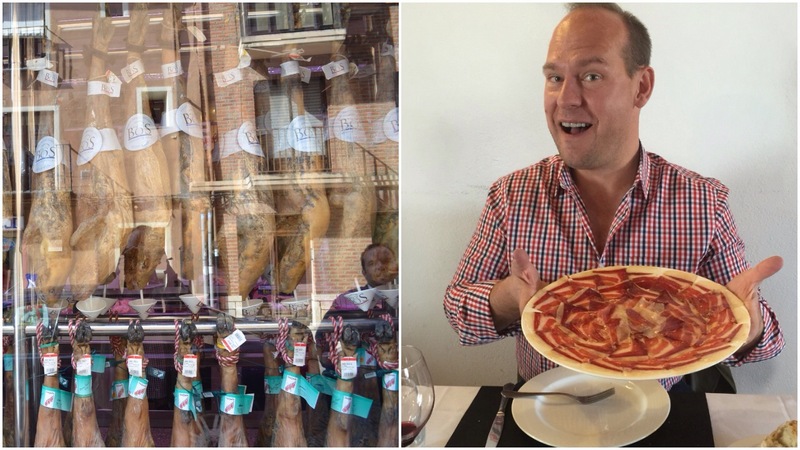 We sampled 4 wines with a selection of local cheeses, charcuterie, nuts and dried fruits. We tasted all 3 wines, with a comparative of the 2008 and 2010 Numanthia, the most traditional in style of the 3 wines that balances the power of Toro wines with freshness and focus on the palate. The Termanthia was a beast, in a good way, showing the style this wine is known for. The Termes is a superb example of Toro, to me one of the best Tempranillo values in the wine world at this price showing the typical Toro power and complexity balance. 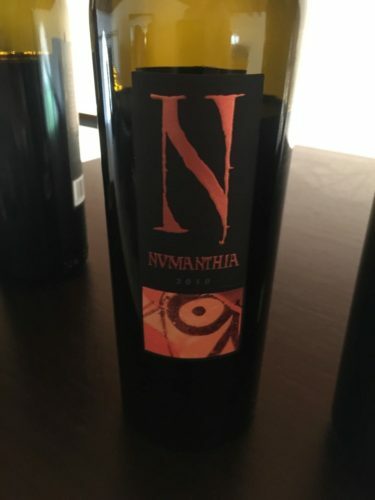 The intro wine in the Numanthia portfolio, the label depicts an ancient Greek coin that was found in the excavation of the village Numancia, their story of resistance being the inspiration for the naming conventions of these wines. The exact stats on the 2012 were 1 year in oak barrel, 30% new French Oak and 70% in used 1 year barrels. Total production is 120k bottles. Fruit for Termes comes from 35 to 45-year-old vines. Notes of licorice, plum, and red raspberry, with pencil lead and some crushed rocks. The wine is very well structured overall with firm and youthful tannin. Allow a 1 hour decant minimum (3 for this one). Black cherry, blackberry, licorice, and tar, full-bodied and firm, structured high grain tannin. Approximately 60k bottles of production come from 100 hectares of 60-100-year-old Tinta de Toro vines. As one would expect, time has mellowed the tannins to a softer and rounder texture. The fruit is deeper and more complex, showing wider layers of flavor and good oak integration. Less intense and more redolent, but plenty of firm structure and length, also with good freshness. The aroma rose from the glass before any agitation from glass swirling. The nose led the way with dried wildflowers, lead pencil, blackberry, and toasted coffee bean. The palate followed with those flavors, exhibiting a viscously silky mouthfeel of ripe, polished, but firm tannins buried under layers of copious glycerin. And there is acidity too, underpinned by the body the wine finishes fresh and well-balanced wine for a wine with such enormity of power and structure. The exact stats I was told were 6 months of malolactic fermentation in 100% NFO (new French oak), and then a second span of 16 months in NFO. Color is a shade lighter, rose on the edge with a deep ruby to garnet core. A silky palate feel, tannins have mellowed to a finer grain. Blackberry, cherry, cinnamon, leather, forest floor, beautiful persistent nose. Perfectly balanced, deep and fresh in flavor, a model for what the Tinta de Toro can be and achieve with balance and precision in the winemaking. Showing very young, with lots of acidity and freshness. Tannin is perfect, not too firm, not dry, perfectly ripe. Plush, red berry, plum, fresh and aromatic on the nose and especially the palate, elegant but very persistent. Cinnamon, cedar, earth, cherry, and bright acidity, firm and fresh tannins.